Kidou Senshi GUNDAM is unimaginably popular in Japan. So it's safe to assume that Gundams are also popular in videogames, right? Because of a combination of factors, this hasn't been the case in the U.S., where Gundam has been slow to gain popularity. Indeed, only now are American gamers beginning to see a slow trickle of Gundam games. A number of early Gundam titles were available for the Nintendo Entertainment System and contemporary systems. Unfortunately, most of these games were... less than stellar, to be charitable, and have grown even less interesting with age. Most have receded to the mists of the past, thankfully. Though Mobile Suite Z Gundam - Hot Scramble! was as bad as its contemporaries, it's one of the few titles to see an English release. It's interesting to see the primitive title in action (and see how far we've come). The Gundam has landed on arcade machines before but between the late coming of the franchise to the U.S. and the decline in popularity of arcades since the early 90s, not much information is available on Gundam arcade games. However, a few older titles, including an SD Gundam side scroller and a fighting game based on the original Mobile Suit Gundam have made their way onto the net as MAME ROMs. The latter title (known simply as Mobile Suit Gundam) is a reasonably good title, very similar to the SNES Endless Duel title. Of more interest to the American fan would be the 16-bit-era Gundam titles. The best known of these is Gundam Wing: Endless Duel, which gained popularity in the emulation scene after Gundam Wing made a splash on American TV. 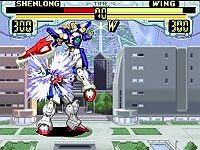 Endless Duel is a fighting game, and while it's not as good as Street Fighter, it is one of the better Gundam games on the SNES. The graphics are bright and crisp, and the fighters themselves are pretty large and responsive. An English patch was released for the title (by a group called Aeon Genesis) but it's not necessary, as the game is pretty straightforward. However, most of the rest of the 16-bit Gundam lineup is not nearly as good as Endless Duel. Mobile Fighter G-Gundam was an obvious title to make - a tournament fighting game based on G-Gundam, but it does not play nearly as well as Endless Duel. Other Super Nintendo Gundam titles included Gundam F-91, a strategy RPG (and a poor one at that, but more on that in a moment), and V Gundam, an awful side scroller. Despite F-91 being such a terrible tactical RPG, a number of good tactical/strategy RPGs were released with the Gundam license in Japan. Two of these (which play extremely similarly) are Kidou Senshi Gundam: Cross Dimensions 0079 and Kidou Senshi Gundam Zeta: Away to Newtype. Both seem to follow the plot of the anime closely, and have the player directing the Gundams and other mobile suits in combat. The graphics on both titles are surprisingly good for the 16-bit era (especially the slightly cleaner looking 0079). While the titles are in Japanese (except for battle commands, which are in English) Aeon Genesis is attempting to translate 0079, but they've run into some problems in hacking the ROM. Of special note are another pair of TRPG series, Super Robot Taisen and SD Gundam. While both titles had games on previous systems (most notably the NES, the Game Boy, and later, the WonderSwan), they both really hit their stride on the Super Nintendo. Super Robot Taisen is not strictly a Gundam game, per se. Instead, it is a TRPG that features a (semi) original story in which characters and mechs from different anime series battle it out. Different titles feature different robots (including Getter Robo, Mazinger Z, Nadesico, Evangalion, Giant Robo, and recently Big O, to name a few), but Gundams (from many different series including all the U.C. storylines as well as Wing) almost always make up a major part of the roster for the Robot Taisen games. The series has appeared on a myriad of different systems (some of which will be discussed further along). As for Super Nintendo titles, Aeon Genesis has completed an English patch for Super Robot Taisen 3 and is working on Super Robot Taisen 4. If Robot Taisen sounds like an anime fans dream, it is. So why hasn't Taisen seen an U.S. release? Partially because the licensing nightmare that would ensue - so many companies own the rights to those mechs on American soil that Banpresto would go nuts trying to get all the licenses. So, unfortunately, except for fan translation hacks, Robot Taisen is an exercise in reading Japanese. SD Gundam these days tends to be Bandai's answer to Robot Taisen. However, the SD Gundams on the Super Nintendo were many different kinds of games. SD Gundam Gaiden: Knight Gundam Monogatari is a 1991 straight RPG featuring the chibi versions of the Gundam mechs (which also got their own anime series). Work is being done to translate that title into English. More akin to Robot Taisen is SD Gundam X, which is a tactical RPG... of sorts. The game starts out on a map screen where the player moves units to battle. However, the actual engagements are more like a fighter/shooter than an RPG. The title has been translated by Serin9X who is working on the similar SD Gundam GNext title. Another interesting SD title is Power Formation Puzzle. Yes, it's a puzzle game. In addition to Gundam style puzzle pieces and backgrounds, special chains unleash combos featuring the SD Gundams. In this respect, it's a lot like Pokemon Puzzle Challenge or Pokemon Puzzle League. From the Super Nintendo, the Playstation took the mantle as the frontrunner in the console wars and with Gundam titles. A number of Playstation titles seem to have taken up where Endless Duel left off. In Japan, a series of fighting games titled Gundam the Battle Master provided the basis for the two American-release fighting games -- Gundam Battle Assault and Gundam Battle Assault 2. Like Endless Duel, neither of the Battle Assault games made players drop Tekken or Soul Blade, especially because of the somewhat sluggish controls, but both were reasonably decent titles. Gundam Battle Assault featured a few mechs, mostly Gundams from various series, and only allowed you to pilot them as Hiro Yui from Gundam Wing. Battle Assault 2 added a nice intro and allowed you to pick from many more mobile suits - and each suit was tied to its pilot from the anime. Neither game really captured the Gundam feel, but both titles featured colorful graphics and huge on-screen characters. 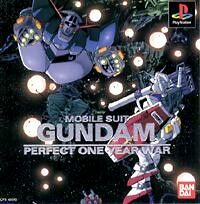 There were also a number of titles only released in Japan, including Mobile Suit Gundam: Perfect One Year War, which played similarly to Square's Front Mission TRPG series. However, while Front Mission is an engaging series, Perfect One Year was a tedious and slow game -- and almost required the Playstation mouse to be even halfway enjoyable. Better, but still unreleased in the U.S., were Mobile Suit Zeta Gundam (based on the Zeta series) and Mobile Suit Gundam: Char's Counterattack (based on the movie), both of which where action/shooters. Both games sported good graphics and cut scenes. Zeta featured two discs that allowed you to play as both Camille and Char (and one could use both discs to get multiplayer play -- for you youngsters that don't recall, the PSX required two discs, two consoles, and two TVs for multiplayer in many games). Char's Counterattack allowed play as Char or Amuro and featured split-screen play. I've only played Counterattack, but it was ridiculously easy and could be finished in a day or two. An interesting title for the PSX was Mobile Suit Gundam -- Giren's Greed "Blood of Zion". The title played like a board game, along the lines of Risk, and featured a lot of units from the series. 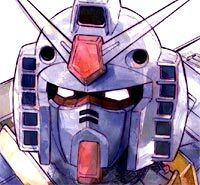 The game itself is fun, but of special interest to fans of Gundam are the animated cut scenes, which tie the original U.C. stories to some of the later side stories, a definite plus for the Gundam otaku. The game is in Japanese, but James Boren has put up an extremely helpful guide to the game (he also hosts an informative list of Gundam games for the PSX - PS2). The SD Gundams also made numerous appearances on the PSX, most notably in SD Gundam G-Generation Zero, a TRPG with a massive campaign mode based on the Universal Century timeline. It also featured missions from Wing, G Gundam, and X, but the main draw is the massive amount of story, units, and missions from the U.C. For fans of Robot Taisen, who can stand some Japanese, G-Generation Zero is an excellent title to pick up. Robot Taisen saw several games on the PSX, including Super Robot Taisen Alpha and Alpha Gaiden. However, Alpha was also remade for the Dreamcast and that version is quite superior. Sega's Dreamcast, which bombed as a system, featured a number of good games, including a trio of Gundam titles. The best is Renpou vs. Zeon, a game Bandai co-developed with Capcom. This title followed Amuro through the entire Mobile Suit Gundam television series. The graphics are excellent. 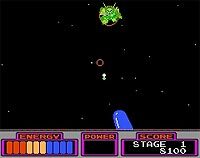 The gameplay deviates from the TV series (for example, in the first mission when the Zeon invade Side 7, you fight alongside a GM, which wasn't developed until much later in the series) but is a blast to play. Basically, it's an arcade game and plays as such (you can finish one run-through of the title in 30 minutes). You take control of the Gundam (or a myriad of other Federation and Zeon mobile suits) and battle through either as the Federation or Zeon (and yes, you can take one side's suits into the other's campaign). The controls are intuitive and very responsive, and the music is excellent (featuring the three major Gundam vocal songs). The presentation is also good, as you can choose to be any number of pilots from the anime, including their graphics for launch and their voices before, after, and during battle. This is one of the best Gundam games for any system. Unfortunately, it did not come out in the U.S. on the Dreamcast. However, an upgraded, English language version was released in the U.S. for the PS2 as Mobile Suit Gundam: Federation vs. Zeon. The other Dreamcast Gundam title was Side Story 0079. It reminds me a lot of the PC game TIE Fighter. In that game, you take the role of an unnamed Imperial pilot and fly around in TIE Fighters, shooting down the rebels; it is still one of the best PC games out there. It was a flight simulator, not a shooter, and Side Story 0079 takes the same philosophy. You take on the role of a Federation ensign, and basically undertake the missions of a low level solider. 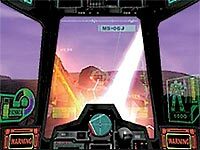 The game puts you in the cockpit of a GM to do battle (unlike most other Gundam action games, you can't take a behind the mech view), so it is more like a simulation than a shooter. The game has a steep learning curve and you never really get to pilot anything as famous as the Gundam (you're stuck in "standard issue" suits). Still, it's an interesting game and fun, once a player has mastered the controls. 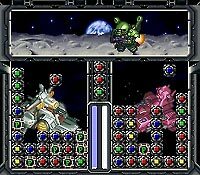 The final Gundam title for the DC was Gundam Battle Online, which was a Japan-only strategy RPG. I haven't had much experience with the title, so I can't comment on it, but from the few details about it online, it sounds interesting. The Dreamcast was also graced by one Robot Taisen game, Robot Taisen Alpha. Very similar to the PSX version, the DC version did away with the sprite based animations used when two units engaged and instead used completely polygonal models, making the game look much better than its PSX counterpart (whose sprite based engagements don't look much better than the recent GBA titles). For anyone that still has a Dreamcast, Alpha is a great Taisen title to pick up. The current king of consoles, the Playstation 2, is the newest home to the Gundam. Probably the biggest Gundam game on the PS2 (and the most widely known) is Journey to Jaburo. Jaburo's setup is like a bit like Renpou vs. Zeon: it's an over-the-shoulder action game where you control the Gundam. However, the experience is very different from that of Renpou. The control setup is much more complex, using the shoulder buttons to target, the right analog stick to change your view (like mouse look in a PC first-person-shooter) and the left stick moves the Gundam. The controls are hard to get used to, unlike Renpou's, which are a breeze to pick up. The level design is also much different: Jaburo's levels are extremely close to the anime series (down to number of enemies and what mechs you have on your side). Each level can last ten or twenty minutes and be broken into sections. It's a much longer experience than the extremely quick arcade battles in Renpou. While the difference is appreciated, the levels can become extremely tedious. It takes a long time to get used to the controls (and the game is no help in that respect -- it has neither a tutorial nor much help during missions) so the game quickly gets frustrating. Add to that an idiotic menu system that seemingly only allows you to save one file (and if it does I haven't seen the option) and Jaburo's a second-string game at best. Jaburo does best Renpou in a couple of ways: the levels are much more accurate and the presentation is spectacular, as the game uses reanimated scenes from the original Mobile Suit Gundam, along with narration from the English voice actors to tell the story. Unfortunately, it seems like it uses a lot of space and the game is quite short. The packaging for Zeonic Front makes it look like a sequel to Jaburo, but in actuality, it's the spiritual successor to Side Story 0079. Much in the same way X-Wing had you flying for the Star Wars Rebels and TIE Fighter turned the table, Zeonic Front puts the player in charge of Zeon's forces. The game adds a lot of strategy to the Side Story 0079 formula, both in planning routes and on what mobile suits to use. Additionally, the Zeon's suits start out less powerful than the Federation's, so it becomes more important to strategize and play a little more underhanded. It's a great game and PS2 Gundam fans will greatly enjoy it. Of course the PS2 is also home to the American version of Federation vs. Zeon. The PS2 version has all the stuff I mentioned for the Dreamcast version, in addition to co-op and versus two player modes, more missions, and graphical upgrades. The only real edge the DC version has over the American PS2 is the use of Japanese voice actors. But other than that, Federation vs. Zeon is another title PS2 owners will eat up. There's no shortage of Robot Taisen and SD Gundam for the PS2, either. Banpresto has already released Super Robot Taisen Impact for the machine and is readying Impact 2. Bandai is preparing to release SD Gundam G Generation Neo this month. The game is in full 3-D and looks spectacular, featuring characters from many of the Gundam series. Another major platform for the Gundam these days is the Game Boy Advance. In the same way the PS2 is the market leader for consoles, the GBA is the unquestioned head of the handheld market. 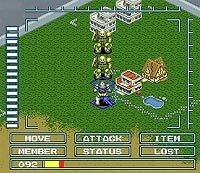 While the GBA doesn't have any Gundam yet, it does feature four Robot Taisen titles, Robot Taisen A, Robot Taisen R, Robot Taisen Original Generation and, most recently, Robot Taisen D.
As you can see, the Gundam gamer as a number of options when it comes time to put controller to hand and whoop some mech. Hopefully, the enterprising gamer can use this article as a guide to find some great games featuring Gundam. A definite resource for any Gundam gamer with access to Japanese games is Game FAQs, which has translations and guides for nearly every game listed in this article. Another site of interest is Zophar, an emulation site with lists of ROM translations that are available.